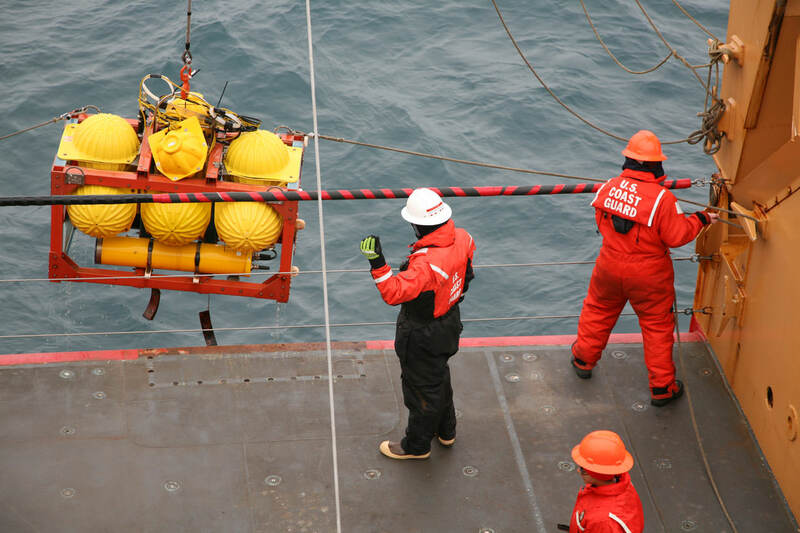 Scientists from the Office of Coast Survey and the University of New Hampshire spent three weeks aboard the U.S. Coast Guard icebreaker Healy in the Arctic using a sophisticated echo sounder to create a three-dimensional map of the sea floor in an area north of Alaska known as the Chukchi Cap. 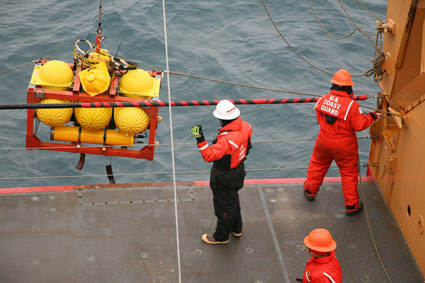 Here, the Healy crew lowers echo sounding equipment into the water. The data collected during the expedition will help scientists better understand the underwater landscape in the region and improve climate and ocean current circulation models.